Busy week. Nearly died in spare bedroom – No. Lie. – but have also been out and about. Proof below. Read with some lovely gents at gentleman’s / private club (donno?) Blacks in Soho. Many thanks to the Writer’s Guild for inviting us to their latest Off the Shelf and treating us to a gorgeous meal. Next up is such a positive review from Sabotage. 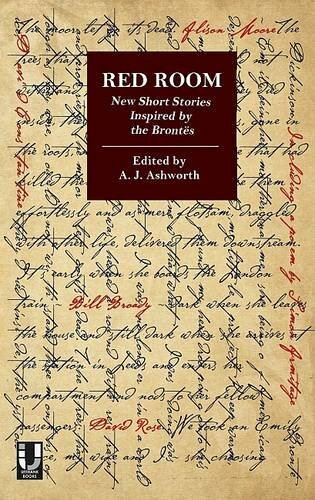 It’s of the forthcoming Red Room (Unthank), a collection inspired by the Brontes. My story, Behind all the Closed Doors, gets a nice mention too. Feels weird, but still. Here is Red Room – ain’t it pretty (even if it is sideways)? I hear one of the stories is making it into Salt’s annual Best British Short Stories. This is good. Also went to the Loose Muse anthology launch after our weekly writing class. We do loads of things, especially with the MLF coming up. Book gluttons heaven. So have a look and come along if interested! This is really, really odd. The Richard & Judy bookclub, that well known bastion of literary knowledge and talent, has teamed up with a person favourite publisher of mine, Quercus to bring you: Richard & Judy’s Search for a Bestseller. Aspiring authors, emerging writers, send your first 10,000 words to them along with a biography and a synopsis and you could win a publishing deal worth £50,000. Simple right? Amazing, yes? An incredible opportunity? No. See, I was kind of thinking about entering. I have a partially complete novel which I’m getting more and more confident about as I continue writing it. I have a synopsis which is more or less getting there and my biography is a bunch of words that appear in places. Plus, I figure my novel would fit quite nicely within Quercus’ line-up of titles. Lovely line up of own mic readings and they’re doing it all again on 25th September. Get down to one if you’ve never been before. The organisers, Dan and Nicki, are lovely. Well, finish the second novel which will actually be more like my fourth, but who’s counting. The next Writers’ Guild Off the Shelf event at Black’s in Soho is a special day with Unthank Books and its writers. Guild members and othersd are invited to hear readings by the chosen authors, followed by a delicious two-course lunch at Blacks members’ club in London’s Soho. The featured writers are: lecturer in creative writing at the Open University Ashley Stokes (Touching the starfish, Unthank’s launch publication, and The Syllabus of Errors); musician, editor and writer Nick Sweeney (Laikonik Express), and writer and lecturer in creative writing in the North West of England Sarah Dobbs (Killing Daniel). Unthank Books was launched in early 2010 in response to what it saw as a “particularly egregious spell of awful or no literary fiction being published by the mainstream houses and its concomitant deleterious effect on aspiring literary authors”. 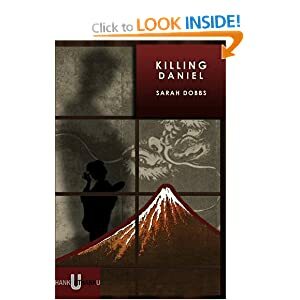 Since then, it has published 15 books, including its annual Unthology of shorter prose, twice-staged UnLit, The Unthank Literary Festival, and delivered numerous courses in poetry, prose and screenwriting through the Unthank School of Writing.